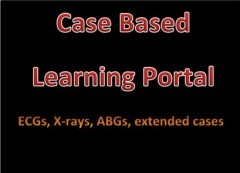 Emergency Medicine Education: Presentations, articles, cases, image galleries, and more …. Surgery, especially emergency theatre, education resources under development. Free resources for pre-vocational doctors, especially those interested in emergency medicine, critical care and hospital based medicine. This website is provided by Ballarat Health Services and is free for anyone to use without passwords. If you would like to contribute any content to the site please email us . Any content is greatly appreciated, especially images and cases for our library. Contributions need to comply with copyright laws, respect people's privacy and be de-identified with patient consent where appropriate. All presentations will be formatted for a consistent style including clearly stated learning objectives. Marisa Wines - Medical Education Coordinator. Zoe Swain - Medical Education Officer / EMET Program Support Officer.